Your house may not have the ability to talk to you; all the same, it gives you indications when something is not right. Windows, in particular, are very communicative. 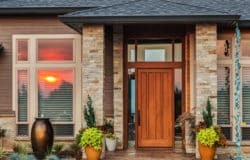 At first glimpse, the lifespan of a normal window may be associated with the lifespan of the glass. This is not factual. Windows are made up of other components such as security latches and seals. Like glass, these components may also get damaged from time to time. Here is a guide to assist you to know the right time to replace your windows. No type of windows lasts forever. Even the best quality brands ultimately grow weaker or break down. The average lifetime of residential windows is 15-20 years. Nonetheless, windows that have been maintained well may last beyond the 20-year mark. Age is not the sole indicator you should replace or change your windows. Look out for these other signs. Draft and other comfort issues. Old single-pane windows have a high probability of producing uncomfortable drafts. Newer windows sometimes as well develop air leaks. This may result in comfort problems. High energy bills. Leaky, inefficient windows as a result of drafts let in unwanted air from outside to your house. This may make your air conditioner and other heating systems to overwork themselves. Rising energy bills for that reason, is a big sign that your windows are falling. Condensation between the panes. This is a common problem in double-pane windows. If condensations happen, it means the seal is out of order and moisture has settled between the panes. Rotten or warped window frames. Wood windows, in particular, are subject to these unattractive problems. Warped window frames can result in flooding, air leaks, and many other window failures. Here is what to expect when you replace your windows at the right time. Cold winter weather is perturbing. But you will be grateful for even temperatures that come with window replacements. After replacing your broken or old single-pane windows, look out as your energy bills drop off by up to 20%. Most of the time, broken windows have non-functioning locks. Modern replacements have superior latch systems and tampered glass for improved security. Added value and curb appeal. Replacing your windows before selling your house, can increase its value. Additionally, the interior beauty and enhanced curb appeal are well worth the investments. Do not attempt to lengthen the life of already broken or malfunctioning windows. There are lots of benefits that await you when you opt for replacement. When you are all set to replace your windows, contact Imperial Windows and Doors. Remember, we are here to assist you to pick the best possible replacement windows. I like that you talk about how replacing windows can make a home much more comfortable. It makes sense that new windows are often well insulated and can be much more efficient than old windows like those in my home. I’ll have to remember this when I’m looking to have mine replaced because new glass would look really nice but could also make it easier for the AC to keep up with the outdoor temperatures.